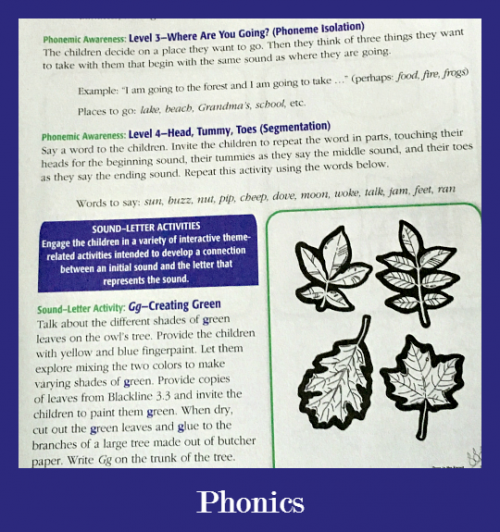 My youngest just finished first grade, but I decided to take a closer look at the Kindergarten Stepping Stones curriculum by Kendall Hunt Religious Publishers because so many of you are searching for information on homeschooling kindergarten. I truly wish I had discovered it 14 years ago so I could have used it for all of my kids! The goal of Kindergarten Stepping Stones is to make the invisible God visible to your child. This curriculum was written for use in Seventh Day Adventist schools, but it is non-denominational and focuses on building a relationship with God and seeing evidence of Him in the world around us. It follows the same method that I have always used to teach kindergarten: exploring the world God made through hands-on activities and quality literature. 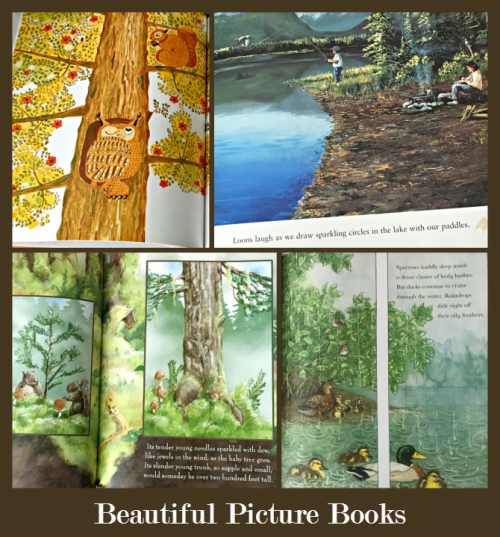 The curriculum is composed of nine themed units built around beautiful picture books. Where Would I Be in an Evergreen Tree? 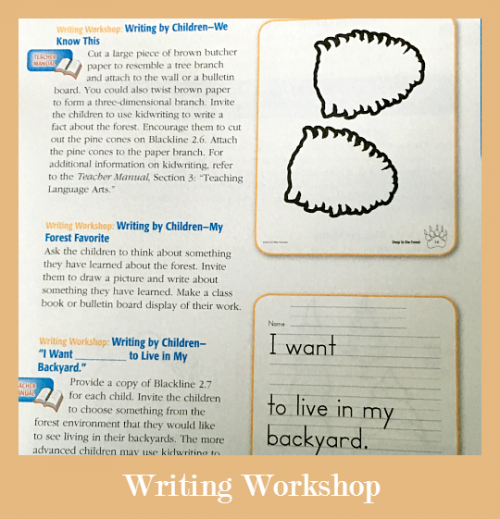 The activities in the Deep in the Forest Daily Lesson Guide are extensive. Though written for a group setting, they are easily done at home with supplies you typically have on hand. There is no guess-work involved in how to teach because each lesson is scripted. 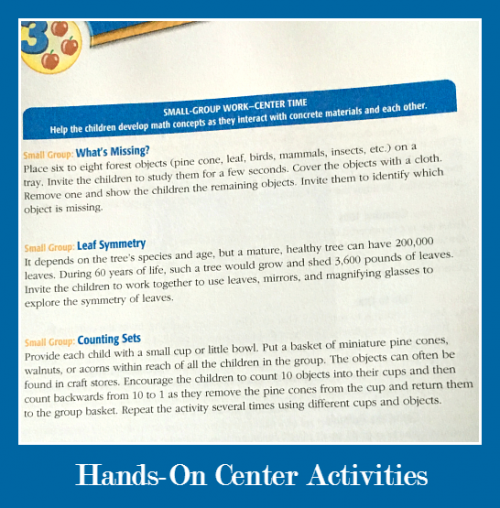 I want to give you an idea of what types of activities you will find for each subject. Many of them use a Montessori approach. 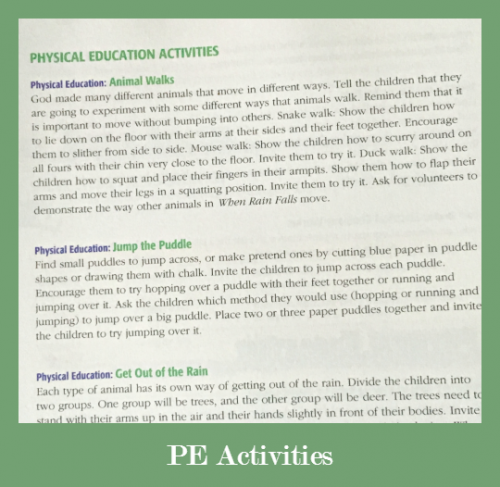 There are also physical education, art, music, dramatic play, and technology activities for each book. 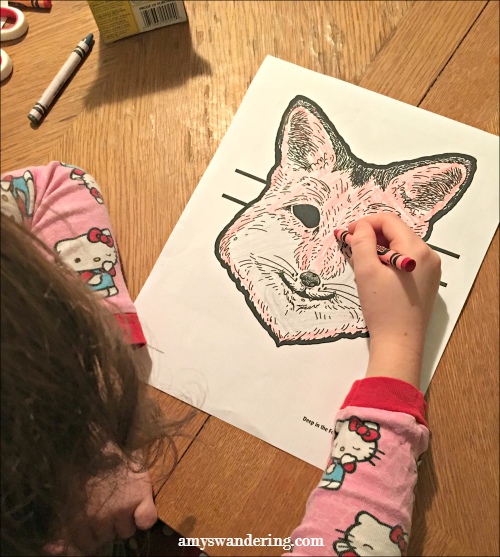 A Blackline Masters CD is included to easily print out all of the activity sheets. I usually ignore most Teacher Manuals because they are filled with rubrics & codes that are more applicable to a classroom setting. The Kindergarten Stepping Stones Teacher Manual is not to be ignored. It is a treasure trove of valuable information on how your child learns. It also has some very helpful assessments and tracking forms in the back. 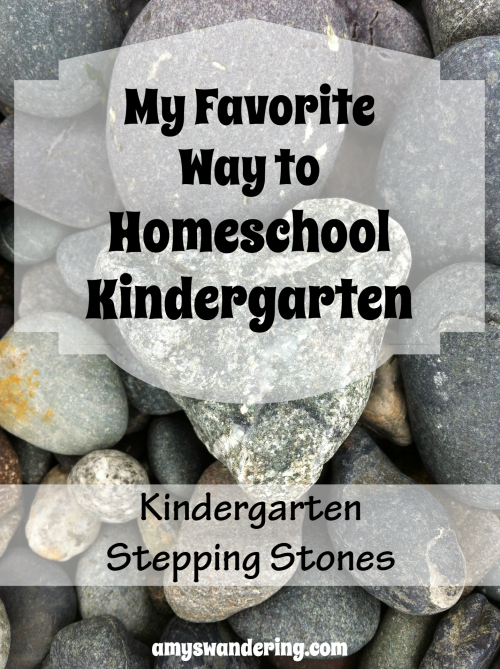 Kindergarten Stepping Stones can easily be used to homeschool multiple ages. I would use it from PreK to 2nd grade by adding in additional math and phonics for the older ones. I have 5 kiddos and we have always done group studies this way. Make it easier on yourself, Mama! The activities in this curriculum are so engaging that my almost-second grader begged to keep using it for the new school year. (This is the same child who was whining a couple of months ago about how school was so boring as we crammed to finish up our year.) I will be incorporating these activities in my lesson plans for the coming year. Side note confession: I was going to make my child change out of her pajamas for these photos, but decided to keep it real. Yes, we often homeschool in our pajamas!! You are welcome to join our Homeschool Slacker Club. I highly recommend Kindergarten Stepping Stones for anyone, but especially if you are nervous about homeschooling your child or unsure how to start. It will give you the confidence to figure out your own path for future years. 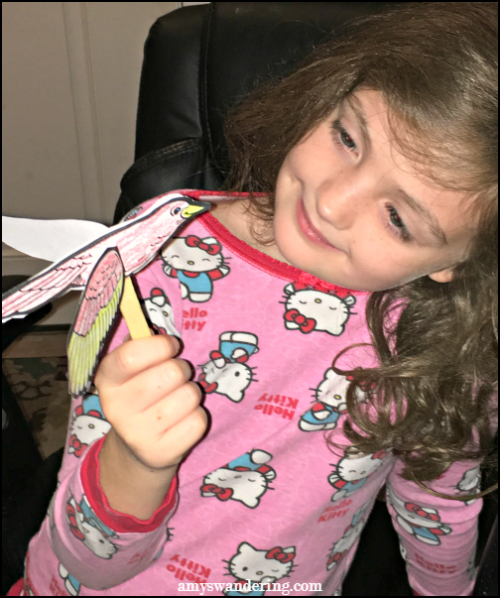 What questions do you have about homeschooling kindergarten?